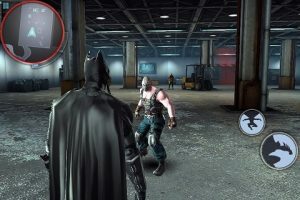 The Dark Knight Rises APK is an action adventure game from gameloft. 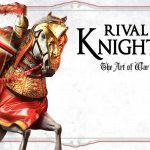 Released back in 2012 as a premium game. Game were released at the same time when TDKR movie were arrived. 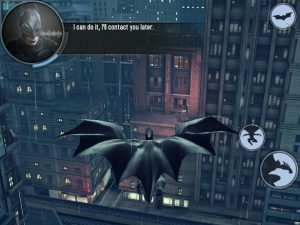 This batman game is one of the milestone game which everyone would love to remember. Open world batman game for the fans of Batman and open world action game lovers. 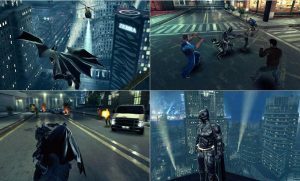 action packed sequences in story driven stunts and real gadgets from the movie.MOD APK of TDKR will be added soon with unlimited SP and money. The Dark Knight Rises – Batman trilogy End for Android. The arcade will be his worst enemy Bane, which hopes to pick up all the Batman, all that is most dear to him. All these characters – Catwoman, Lucius Fox and Commissioner Gordon also TKA – spomogut take us in an exciting game. We are waiting for the bombs, jail, hostage and dizzying chase. Prove to all residents of Gotham that we can stand up for his town. Collecting items, go to the improvement, as we expect an exciting battle system. Learn all of Gotham on the big map, evaluate the excellent graph, thanks to which we can go back to the dark Batman universe. If you do not place data properly then game will crash for sure. Tested on Android 6.0 and this latest version is working fine.Try it and relive the Golden days of Gameloft games. Please RG, Update and Reupload the game. TDKR is one of those games that when you finished it, you can always come back and do it all over again but can be played differently everytime. can you update please . Please, update your download link. I had downloaded GNOL but it say Invalid License can you please provide me cracked apk with its data. thnx bro.. its Amazing.. nd the amazing spiderman 2 for android 6.0.1 ke liye bhi hai kya bro aapki site pe. will it work on oneplus 2 ? this game is not show in playstore on my phone..
Why this game is not running on my Oneplus 3?? The Gameloft logo shows up and automatically the game crashes nd force stop. Plzz Help. Place data folder properly in sd card/android/data …it will work…. Hlo Rg, the old version is compatible with my device before. but this version is not compatible. will it work on 5.1?? my device is xolo black 1x ….. waiting for ur reply..thanks. Can I play this on zenfone 5?? Thanks RG Great Job, I am your fan. Sir plz upload brother in arms 2 HD. Thanks for this gaMe RG! But can you upload the old gameloft games like rainbow six, shadow guardian,splinter cell conviction etc., that can work on android 6.0? RG please update ‘MOD.apk’ THE BEST OLD GAMES same as: THE AMAZING SPIDER-NAN 2, WILD BLOOD, MODERN COMBAT 4 with FULL COMPATIBLE ANDROID MM V6.0.1. I’ve tested in MM V6.0.1 with CUSTOM ROM OFFICIAL there is and there is also a FORCE CLOSE in the previous version (The version that is in LOLLIPOP with STOCK ROM & CUSTOM ROM LOLLIPOP). ? Approximately when you release a mod for TDKR v1.1.6 / v1.1.7 (new version) ??? previously existing v1.1.6 (old version) and constrained black screen, force close and the impact of the virus. 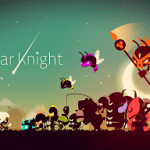 Can / could it be you create one immediately mod.apk for TDKR v1.1.6 / v1.1.7 (new version) ??? 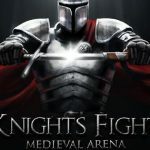 I am a fan of heavy games … I will always be faithful waiting for this mod apk from you and a friend. Thank you in advance. ? Hey , RG My Phone Is Xiaomi Redmi Note 3 & Xiaomi Mi Max !! This Game Røçk On Ultra High Graphics !! And Guys !! Good News , Batman Telltale Series Episode 4 Is Releasing This 22 Nov !! 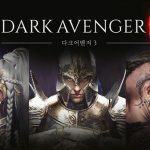 Get Ready To download and In Episode 4 Joker Is Coming !! 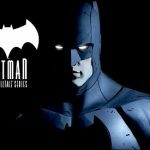 RG U Must Play Batman Telltale Series For Android !! Erm… when i start the game it said the game has stopped. Any solution?? It works, but it crashes if you have amazon appstore installed. It saids error ocured, reinstal app from amazon app store. Can you fix that? Rg can upload football mobile manager 2017??? Great job u are doing here rg I see u have started adding PC games also. Which is very cool. 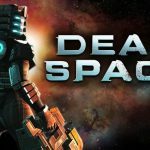 I suggest u divide andropalace into two sections one for android game and d other for PC games. That would b cool. So DAT I could also get update on both my PC and android game here. That is RG Mechanics, it’s different.